Fancy a game of ‘Blind man’s Boeuf’? 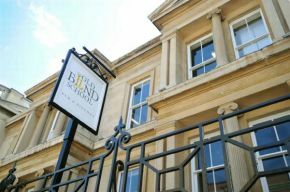 This is a one off event on the 30th June 2016 hosted at one of Liverpool’s most sought after restaurants, the historic The Old Blind School located on 24 Hardman Street. #TOBS as its affectionately known across the city is home to the nationally acclaimed Rushton Grill, takes the “steaks” even higher with this special menu. Includes TOBS own proper hand-cut chips, garlic-roasted mushroom, beef tomato, watercress and these great sauces – Béarnaise, Pepper or proper gravy. Harrogate-born James began his career at 16 in Yorkshire and after two years of learning his craft made the move to London to test his ability. James began his London experience by working alongside Gordon Ramsay and Marcus Wareing at the iconic Berkeley Hotel, gaining a huge amount of skills and honing his own unique ability at the 1 Michelin Star restaurant, Petrus. At the age of 18 James was the youngest cook in the kitchen, holding his own within a brigade of 25 chefs. This bold move was the biggest but most valuable and has moulded him into one of the top, most sought after chefs. “I’m really excited to be involved with this one off event at The Old Blind School, I’m looking forward to showing off some great cuts of beef and working with the New Moon family again.’ Say’s Guest chef James Allcock.